Left2Die - More than 2 player? 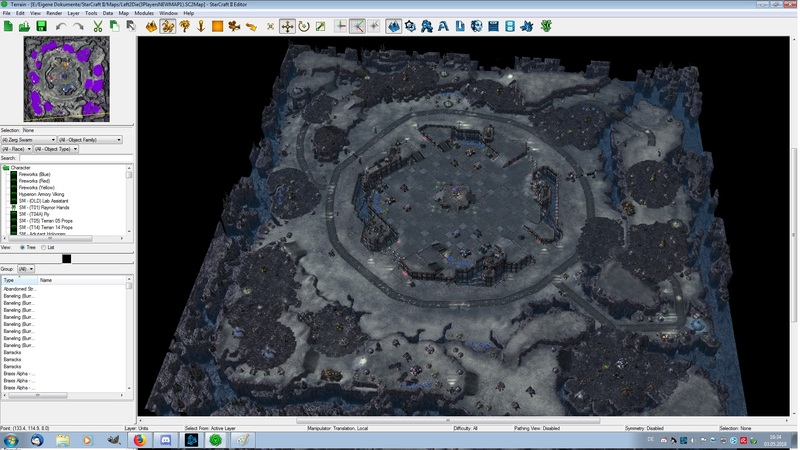 im a newbie in the SC2 map editor. Espacially the scripts and triggers are hard to understand. I played SC2 the last time 6 years ago... but a friend and the SC2 anniversary brought me back in to the blizzard world. Im not really good in the versus modes, but the cooperative missions in the arcade section are pretty fun to play. My favourite mode is the Left2Die mission, but it's more fun to play with more friends together. Because the already modded versions are not so good, I tried to change the mission on my self, but this turned out more complicated than planned. I was changing only a few things. I made more space and added a third player. But it doesnt get into the players team. It stays a enemy player. 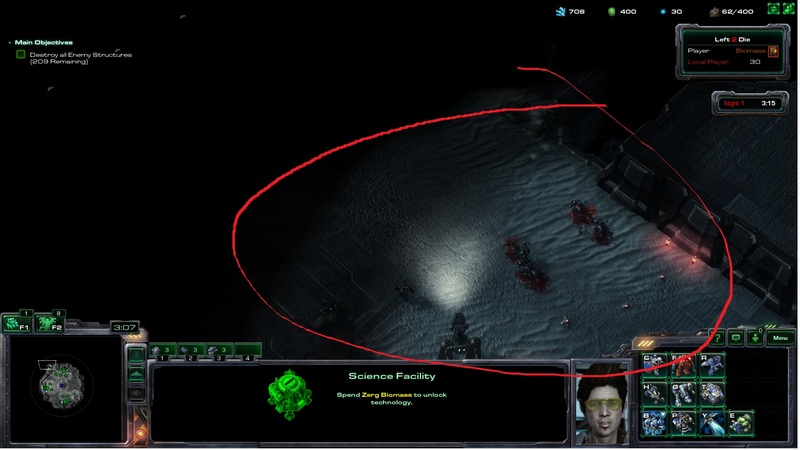 After I loaded the "Left2Die" file from Blizzard into the editor it showed me a "dependecy file could not be found (Mods/Left2Die.SC2Mod)"
The same error occurred, when I tried to publish or test the map. Where is the mod folder? I does not found it in the documents...C Drive... or... elsewhere. It says me there would be the downloaded mod. This thread was a long time ago but for sake of response I'll give you one if you haven't found out how to fix it yet. Problem 1 Fix: You must go to the Triggers, add a new one with Ctrl+T, then make your event (yellow flag at top) to Map Initialisation. Then add a new Action (green cinema card next to the flag) and search for Set Alliance. Then set the alliance between the three human players: Make Player X and Player Y treat each other as Ally with Shared Vision and Pushable. 1. open Left 2 Die map from Blizzard, ignore error. Put a Stank, Spotter, Hunterling, Choker, Kaboomer on the map. They are white domes right? Go to step 2. 3. A window will pop up, go to the search bar and look for the Left 2 Die mod. 4. Click on it, make sure the Data Download says 100%, the green bar must be full. 5. Press OK, OK, when you go back to the Dependency popup Left 2 Die mod will not have a file path. This is ok.
6. Check on the special units you added, they should all have their unit models which means everything is working correctly. 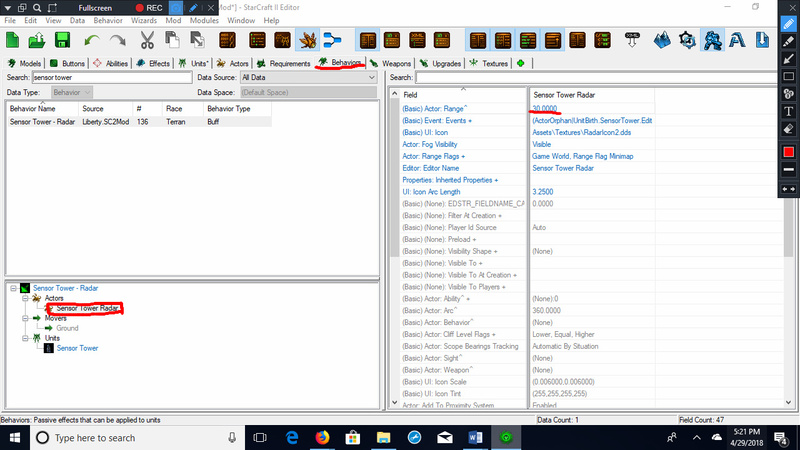 If not then delete them and place them again, the mod data should load then. 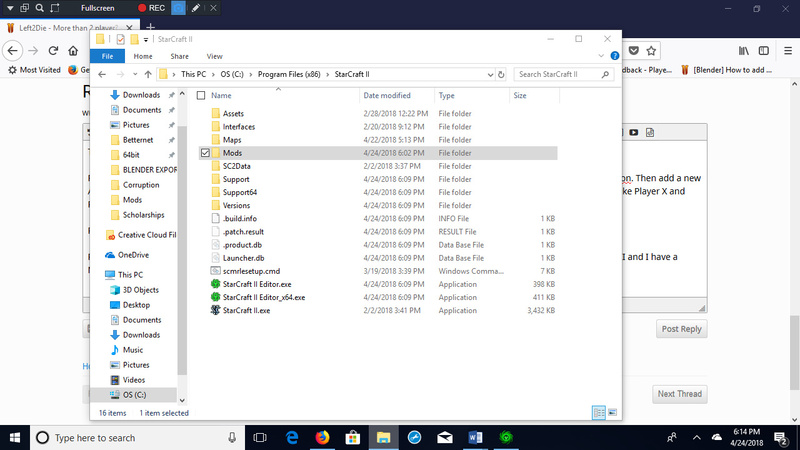 Problem 3 Fix: You must make a new Mod folder under where your game is installed. 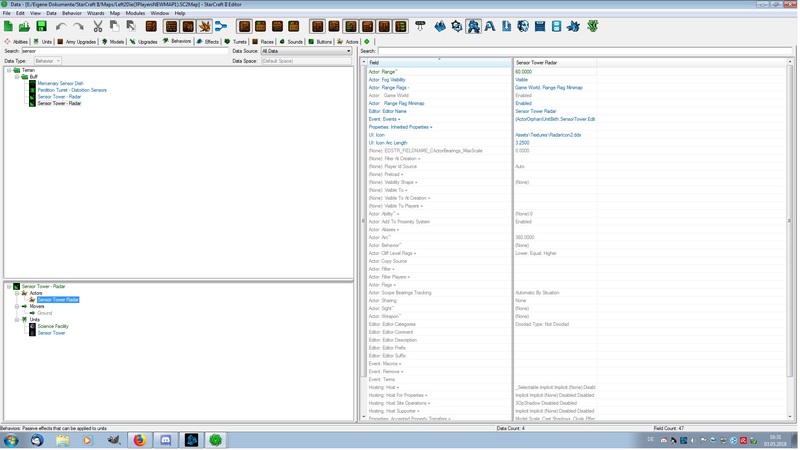 For me it is C:\Program Files (x86)\StarCraft II and I have a Mods folder inside StarCraft II. Thank you for your reply :D. I fixed the Problems after hours of trying copy and paste etc. I forgot this post so I diddnt updated it. Now Im trying to rebuild the map a bit larger. On little problem up to now is the sensor tower; I increased the range but it didnt work. 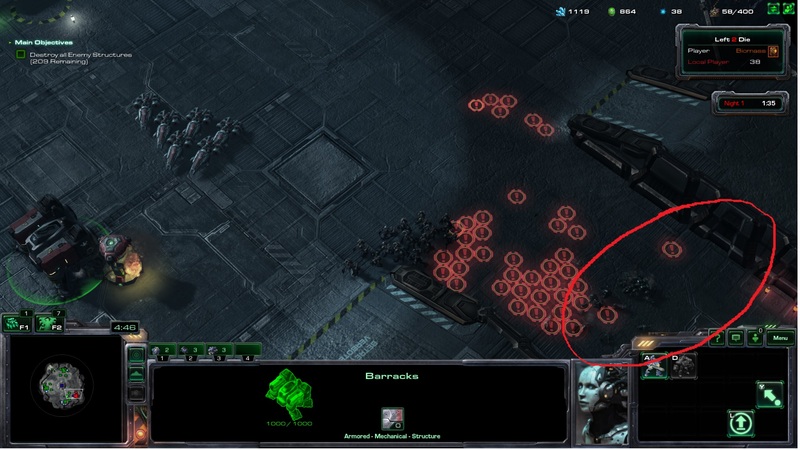 In order to increase the Sensor Tower radar range, you need to change the actor's range value, not sight radius. I attached a screenshot to show where it is. I got now the range to work, but the enemies dont get showed up in the fog with the red caution sign. 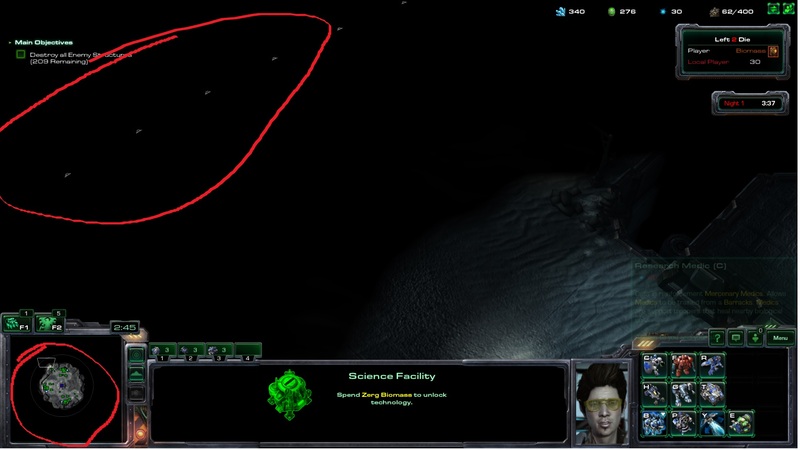 Only when they get nearer to the sensor (in this case the science facility) So the visible circle increased but not the function.